Sign up to stay connected with YoungTri! New to triathlons or a seasoned pro? YoungTri Members are of all different abilities, ages and experience levels. Whether you’re in the youth, high school, college, or “beyond” category, or triathletes of all ages and levels (beginners to pros)! 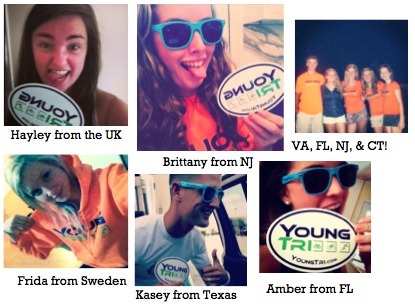 are encouraged to become a part of the YoungTri community.